Southern creamed corn. 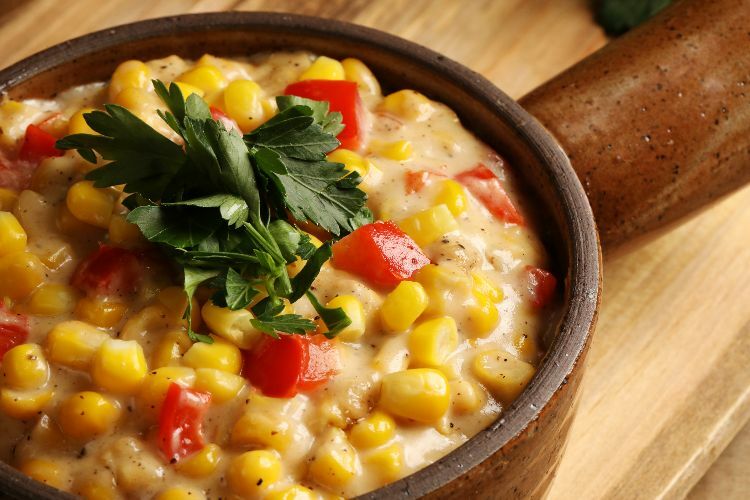 Does it get any better than delicious sweet corn swimming in a sea of milk and goodness? Whenever company comes over, this side dish is sure to please when it appears at the table. But with all the low-carb gluten-free diets out there, hosts don't always know the dietary needs of their guests. The recipe below swaps out the traditional flour with low-gluten cornstarch. It's all right there in the name, cornstarch, isn't it? Don't those two just need to go together? Bell pepper is another must-have ingredient. It adds so much color and a little bit of texture to the dish. It's not required, of course, so if you don't have one on hand when a Southern creamed corn craving strikes, make the dish without it. It will still be pretty darned good. Place a large saucepan over medium-high heat and melt butter in it. 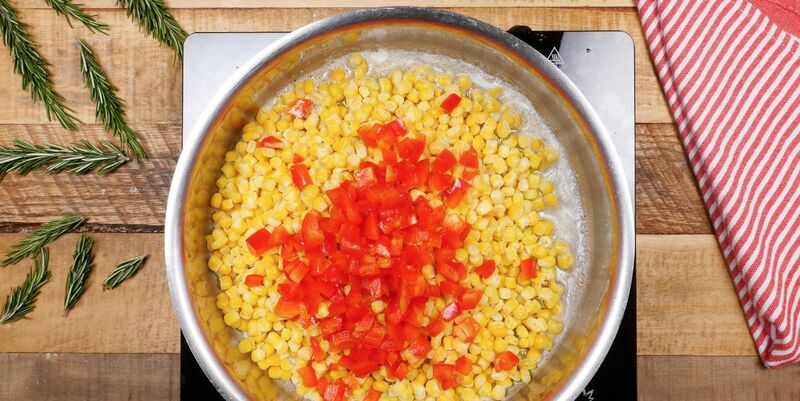 When the butter has melted, add the corn, bell pepper, heavy cream, brown sugar, salt and black pepper. Bring the mixture up to a boil. Lower the heat and simmer for 15 more minutes. Mix the cornstarch with the water and add to the saucepan. Stir and cook for another 5 minutes, or until the corn mixture has thickened.